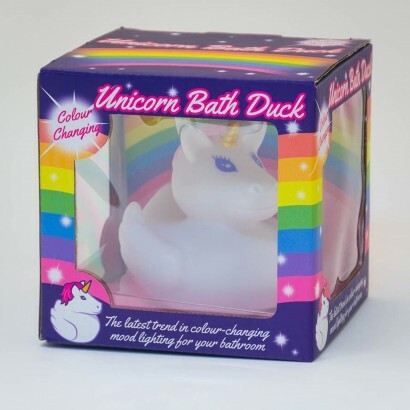 What better way to relax at the end of the day than in a relaxing bath lit with colourful light? 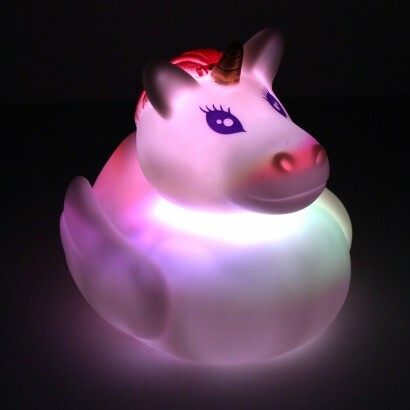 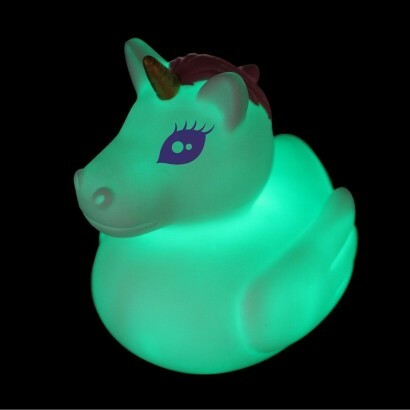 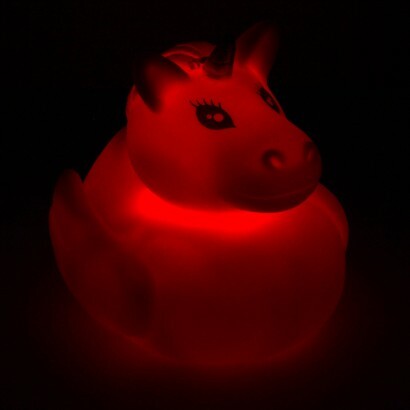 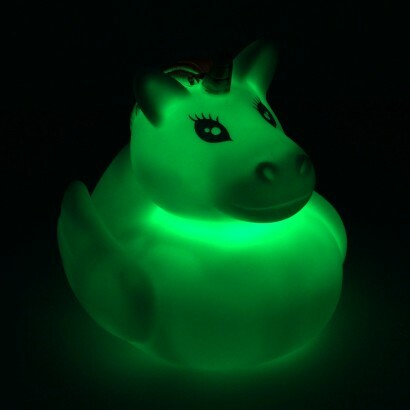 Float a unicorn bath duck in your bath for a magical experience as this noble duck shines from within with a colour change light show. 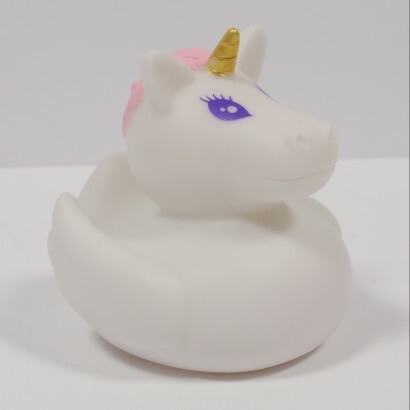 Ideal for kids and grown ups alike, this magical steed transforms your bath into a soothing experience, simply float on the water to activate and even the most reluctant of bathers will enjoy bathtime.